Can children get subluxations? Can subluxations clear up on their own? What does an adjustment feel like? Can the bones be moved too much? Are chiropractic adjustments safe? What about stroke? Can I adjust myself? What is that noise I sometimes hear during an adjustment? Are all patients adjusted the same way? How many adjustments will it take? How long will I need chiropractic care? How long will my recovery last? What if chiropractic doesn't work for me? Can I get adjusted if I have osteoporosis? Can I have chiropractic care after back surgery? Can I have chiropractic care if I am pregnant? Should my newborn receive chiropractic care? Can I receive medication for pain? Do I have a slipped disc? Do I have a pinched nerve? Chiropractic care helps by reducing/removing interference from your nervous system. With a revived nervous system your body has the ability to heal it-self. Chiropractic does not cure anything! It is also not a treatment for any disease. If there is anything that will help it is your own body with its revived nervous system after chiropractic care. A subluxation is when a motion segment in which the spine's alignment, movement or physiologic funtion is altered although contact between joint surfaces remains intact. It is possible to have a subluxation and not even know about it. Most of the time symptoms ar not apparent until days, months, or years after a subluxation has developed. Absolutely! Many things can cause subluxation in children like falls, playing sports, or even learning how to sit up and walk. Sometimes. Many of the minor suluxations are corrected by our odies self-healing nature, as we sleep, bend, and stretch. When they don't resolve on their own it is importat to go to your chiropractor. Most of the time adjustments feel good, if they didn't people would only go to a chiropractor once. Chiropractors are trained in delivering a specific adjustment with the right amount of energy. In the occasions that an adjustment is a little uncomfortable the cause may be muscular or a long standing complaint. Unlikely, chiropractors have a lot of training in delivering an adjustment with the right amount of energy in the proper place. Yes, according to the American Chiropractic Association, "Chiropracitc is recognized as one of the safest drug-free, non-invasive therapies available for neruomusculoskeletal complaints." They go on to say, "Although chiropractic has an excellent safety record, no health treatment is completely free of potential adverse effects. The risk associated with chiropracitc, however, are very small. Many patients feel immediate relief following chiropractic treatment, bus some may experience mild soreness or aching, just as they do after some forms of exercise. Current literature shows that minor discomfort or soreness following spinal manipulation typically fads within 24 hours." According to the American Chiorpractic Association, "Neck manipulation is a remarkably safe procedure. WHile some reports have associated upper high-velocity neck manipulation witha certain kink of stroke, or vertebral artery dissection, recent evidence suggests that this type of areterial injury often takes place spontaneously, or following eeryday acitvities such as turing the head while driving, swimming, or having a shampoo in a hair salon." They go on to say, " Patients with this condition may experience neck pain and headache that leads them to seek professional care- often at the office of a doctor of chiropractic or family physician- but that care is not the cause of the injury. The best evidence indicates that the incidnece of artery injuries associated with high-velocity upper neck manipulation is extremely rare- about 1 case in 5.85 million manipulations." You can make the "pop" sound but that is not what makes an adjustment effective. Chiropractors have years of training to make an adjustment specific and effective. Even chiropractors have to go to another chiropractor to get adjusted. What is that noise I sometimes hear during an adjustment? Adults call it popping and children say it sounds like popcorn, but it is the shifting of fluid and gas in the joint segment. Not all types of adjustments create this sound. The "pop" sound does not determine if the adjustment was good or bad! Each person has a unique situation and spine. The care plans and adjustments are tailored to each person's age, health goals, and condition. It is hard to give a set number, because each person has a unique situation and health goals. Most patients see a decrease in the severity of symptoms within a week or two. When your treatment starts, visits will be closer together because each adjustment builds on the previous one. As treatments progress visits may get farther apart depending on how the supporting muscles and ligaments are healing. This is completely up to you! Many people choose to continue with some type of periodic care once they have reached the level of relief they want. Dr Shanna and her family receive regular chiropractic care to help detect new problems before they become serious and to help them feel their best! No one knows for sure, many people report long-term changes. Those who do not take care of their body or delay in getting care may not have long-term changes. Others find value in periodic checkups from their chiropractor to help decrease the chance of a relapse. What if chiropractic doesn't work for me? Your health and satisfaction are very important to Natural Family Chiropractic. In the event that we cannot find and treat the underlying issues, you will be referred to another specialist. Can I get adjusted if I have osteoporosis? Yes! There are many ways to adjust the spine. While determining the kind of care you need Dr Shanna will put into consideration your size, age, and any health conditions you may have. Of course. The area of the surgery will be avoided when it comes to adjustments because surgery may cause instability in that area of the spine. Can I have chiropractic care if I am pregnant? Absolutely! It is a great, drug free, way to decrease the discomfort of your pregnancy. Dr Shanna, at Natural Family Chiropractic, has advanced training in adjusting pregnant patients. During both her pregnancies Dr. Shanna received chiropractic regularly and doesn't know how people can go through a pregnancy without it. Should my newborn receive chiropractic care? The birth process is a stressful journey for your little one and may cause subluxation. These stresses may show up as colic, poor appetite, ear infection or a multitude of other issues. Adjustment techniques for babies are very gentle and use about the same amount of pressure as it takes to test the ripeness of a tomato. Can I receive medication for pain? Chiropractors do not dispense medication. We rely on more natural methods, like the use of ice for pain and inflammation. 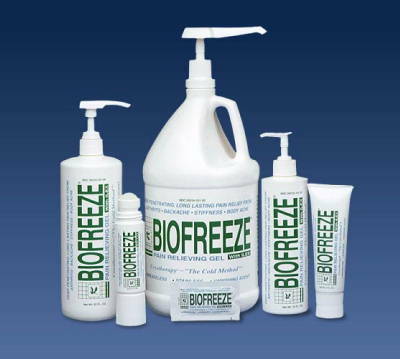 There are also other items, such as biofreeze, that can be applied to the area of discomfort. Your disc cannot actually "slip"! This is a term commonly used for a herniated disc. The disc is a fibrous outer with a soft jelly-like material inside. It is located between each spinal bone and is attached above and below. 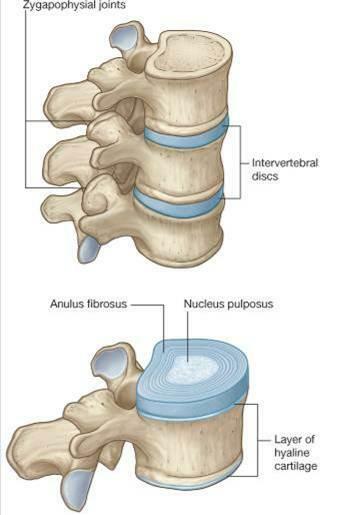 Along with herniation the disc can bulge, tear, thin, prolapse, and dry out. This is a very rare occurrence. It is more common for irritation, stretching, rubbing or chaffing of a nerve root. This could distort the messages trying to get to and from your brain and cause dysfunction of the organ or system trying to be reached.